Thum! Kaun Aata Hai? : Reduced IAF Squadron Strength Doesn't Mean Reduced IAF Capability! Reduced IAF Squadron Strength Doesn't Mean Reduced IAF Capability! Indian media and analysts, even senior IAF leadership, keep alluding to the IAF's reducing fighter squadron strength, most often to highlight the the need for acquiring the Rafale MMRCA! The stress on decreasing squadron strength creates the impression that the IAF is getting enfeebled. That, however, is not really the case. The number of IAF fighter squadrons may have dropped, but one can claim that IAF capability has diminished. Indeed it has steadily increased. 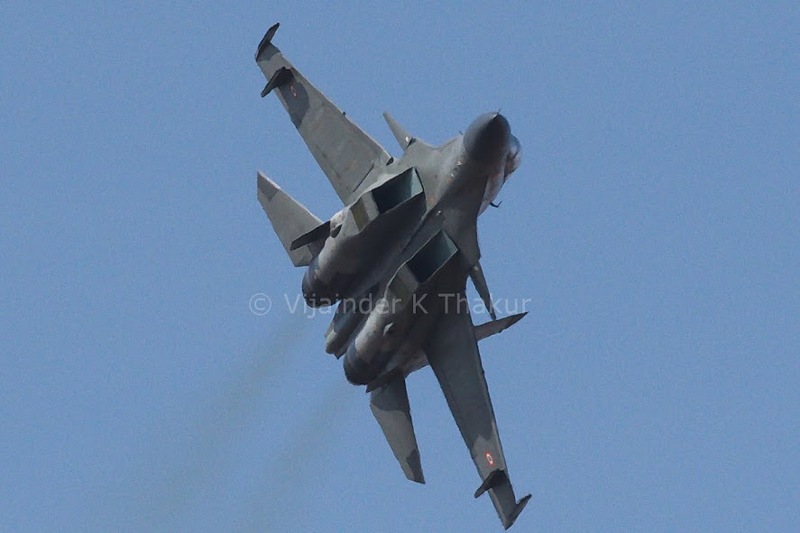 Each Su-30MKI packages air defense and attack capability equivalent to 3-4 MiG-21 Bison. You can argue about the exact equivalence, but cannot credibly claim it be unitary. If fighter aircraft numbers were the only criterion, then here is a statistic that should gladden our hearts and shed our fear of China - PLAAF fighter strength has halved in the past 15 years! From nearly 4000 to around 1900. Maitri SR-SAM as Akash Mk-2?